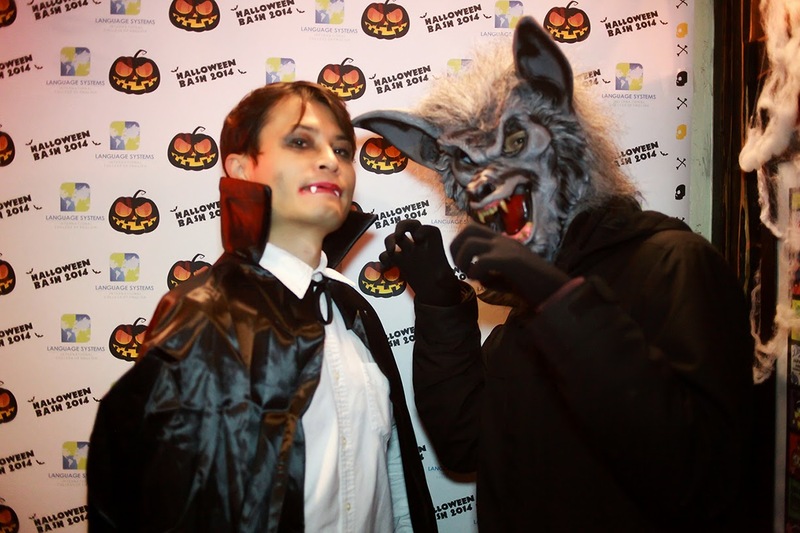 Every year LSI throws a Halloween Party for hundreds of international students, and it is always so much fun to see how creative the students can get with their costumes. 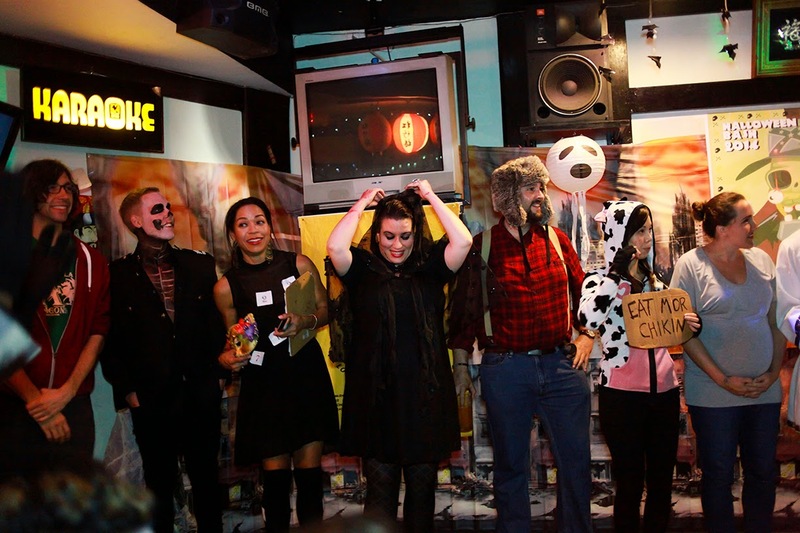 This year, there were 4 categories for the costume contest: Most Creative, Funniest, Scariest, and Best Couple/Group. 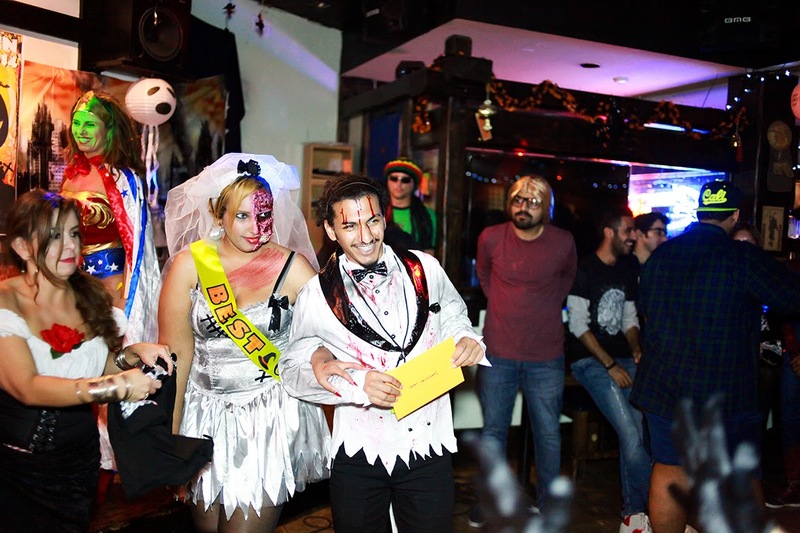 The Best Couple Costume went to a male and female student who dressed up as a kind of zombie couple in wedding outfits. They were both really scary looking. I think they even freaked out a couple of the judges when they did their walk in front of the judging panel. It was a lot of fun! 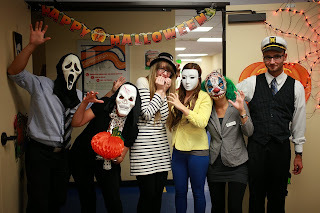 During the party, students had many chances to win prizes like one-of-a-kind LSI Halloween t-shirts and gift cards. We also had a special performance from a Japanese student representing the LSI-Los Angeles campus. 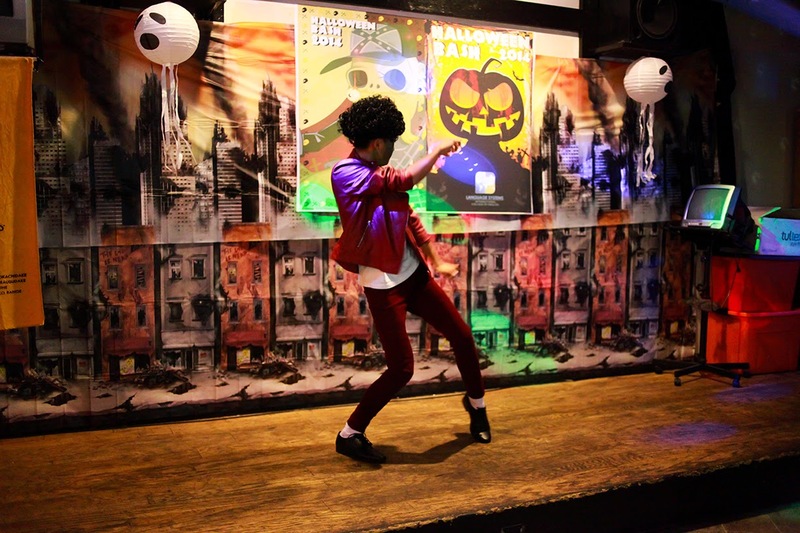 He did a dance impersonation of Michael Jackson’s “Thriller.” The audience cheered and clapped in response to this student’s cool performance. Of course, we all enjoyed the all-you-can-eat buffet of delicious Japanese food. After dinner, the performance, and the costume contest, it was time to dance the night away as the DJ played hits for LSI students gathered on the dance floor. For our international students, Halloween is always a special opportunity to experience one of the most interesting holidays in American culture.